Fermentation and lacto-fermentation have been around for a very long time mainly as a means to preserve food over long periods of time when refrigeration wasn’t available. Today more and more people are rediscovering those old methods of preserving food because the taste is amazing, but also because it’s a great way to consume probiotics. Lacto-fermented foods are fermented by lactobacillus bacteria, which is a category of beneficial bacteria that feeds on sugar and that produces lactic acid as a byproduct. This is why lacto-fermented foods taste acidic. Just about any vegetables and even fruits can be lacto-fermented, but fruits will need much less fermentation time as they contain much more sugar. You can play around and try all sorts of funky combinations to discover some amazing tastes. Spices and herbs are also often used extensively to give an even greater flavor to the final product. 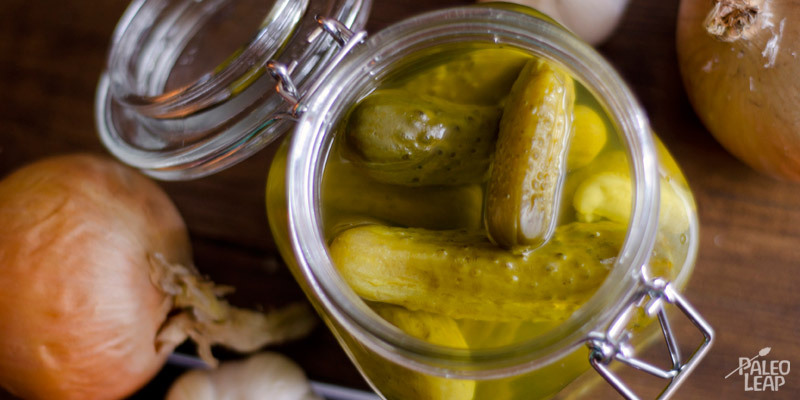 For example, sour pickles are often flavored with dill, garlic and a combination of pickling spices. Some examples of pickling spices are bay leaves, cinnamon sticks, whole cloves, whole peppercorns, coriander seeds and mustard seeds. A popular variation of sauerkraut (lacto-fermented cabbage) is made with apples and Juniper berries. Even though the whole process might seem long and complex, fermenting food at home takes nothing but a few basic instruments and ingredients. At its basis, most lacto-fermented foods are nothing more than whole, chopped, sliced or grated vegetables placed in a brine of salt and water for a period of time at room temperature to let the beneficial bacteria develop. The important thing to keep in mind is that the vegetables should stay submerged all along to prevent mold from forming. Lactobacillus bacteria is a facultative anaerobic category of bacteria, meaning that it doesn’t need oxygen for energy production. If you decide to chop, slice or grate your vegetables, you should add salt as you place the cut vegetables in your chosen fermentation vessel and pound everything heavily with your fists or with a potato masher to break up the vegetables, release their juices and to eliminate any pocket of air that may form. When using whole vegetables, like with sour pickles, you’ll simply place them in your vessel and submerge them with a brine. You’ll probably come across a lot of recipes calling for fresh whey as a starter for the ferment, but simply using salt gives out the same desired result. Whey is only a way to bring more lactobacillus bacteria right at the beginning of the process, but that desired bacteria is already present on the surface of the vegetables you’re fermenting and will multiply fast enough when given the opportunity. You don’t have to use much salt either and in fact you could even ferment food without salt, but using at least some salt prevents undesired bacteria from gaining power over the lactobacillus. Using salt also helps the vegetables stay crunchy and helps draw water out of the vegetables. This extracted water can then act as the liquid for the brine. The quantity of salt to use is up to you, but 3 tablespoons per 5 pounds of vegetables is a good ratio to follow. As an alternative to salt, you can also use a vegetable starter culture like one of those available online at Cultures for Health or at your local health food store. These will ensure that only the desired bacteria ferments your food, but they are not necessary at all when using salt. As yet another alternative to salt, seaweeds are also a great choice as they are high in sodium. Seaweeds are also packed full of micro-nutrients and are a great source of much needed iodine. The other very important element is the fermentation vessel. You’ll want to choose a large ceramic or glass jar where you can fit a cap or plate on top to be able to press on the vegetables and keep them under the brine at all times. In any case, you’ll probably want to press on the cap or plate by putting a rock or a jug of water on top. The salt will continue to extract water from the vegetables several hours after you put them in the fermentation vessel, but you should verify that the liquid covers your vegetables the following day and add water if it’s not the case. Some mold can also form on the surface after some time in the form of a white film, but it’s usually not a problem and removing it as best as you can is good enough. It’s also a good idea to place the chosen fermentation pot or jar on a plate or thick towel as the ferment usually expands and spills can happen. Some special ceramic pots and glass jars are designed especially for lacto-fermentation and to keep the vegetables submerged under the brine. I personally use a gallon sized glass fermentation vessel I got from Cultures for Health that comes equipped with an airlock setup to ensure that the vegetables are under the brine. I like it very much and lacto-fermentation is a breeze with it. The fermentation time will vary based on a lot of factors: temperature, starter used, quantity of salt, and nature of the vegetable or fruit. The best way to go about it when trying original combinations is to taste it along the process and to go with the taste as the best indicator. When it tastes acidic enough for your liking, it’s ready to be enjoyed and placed in the refrigerator to stop the fermentation. Taste it after 3 days, then taste it 3 days later and so on. The finished product will keep for months when stored in the refrigerator. Now that you know about the general guidelines to lacto-ferment vegetables, go ahead and try fermenting your favorite combination of vegetables or try out one of the following 9 recipes. All the recipes included here yield 1 gallon, but don’t hesitate to do only 1/4 of the quantity to obtain a quart of food. In the end it all depends on the capacity of your chosen vessel, but making a big batch is a good idea because it will keep for very long when stored in the refrigerator. Sauerkraut originates from Germany and consists of lacto-fermented cabbage. Cabbage is probably the most often lacto-fermented vegetable out there, probably because the end result tastes so good. A few trivial facts: Explorer James Cook was well known for bringing Vitamin C rich sauerkraut in his travels to prevent the men from suffering from scurvy. In Germany sauerkraut is most often enjoyed with knackwurst, a type of sausage. 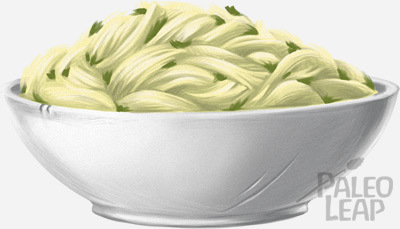 During World War I, American companies renamed sauerkraut as Liberty Cabbage, a bit like today’s Freedom Fries. Place the shredded cabbage little by little in your fermentation jar, pounding it vigorously and sprinkling some with the sea salt as you go. Make sure the mixture fills the jar up to no more than 1 inch below the top (because of the expansion), adding more if needed, and that the extracted water covers the vegetables entirely. If not, create a brine of 2 tablespoons sea salt to 4 cups water and add it to the cabbage. Press the vegetables and keep them under the brine by placing a plate or a lid on top weighted down by a rock or a jug of water. Cover with a clean towel if needed to keep out fruit flies. 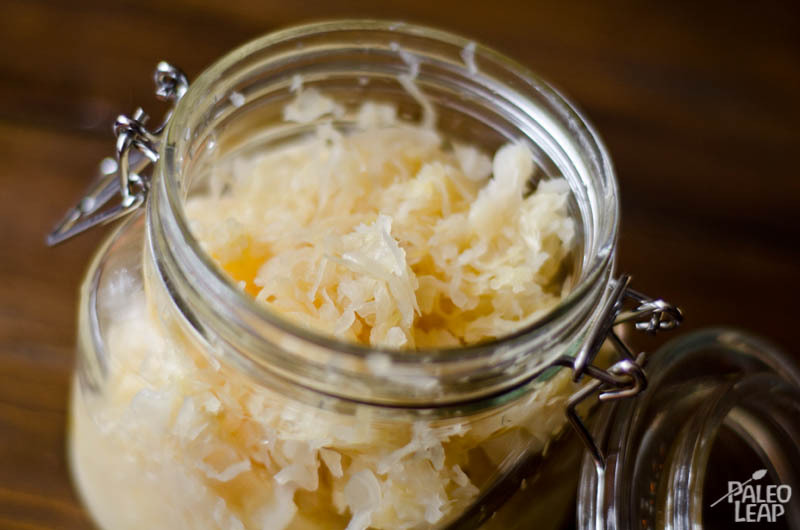 Place the fermentation jar in a warm spot in your kitchen and allow the sauerkraut to ferment for 7 to 10 days. Check on it from time to time to be sure that the brine covers the vegetables and to remove any mold that may form on the surface. A good way to know when it’s ready is to taste it during the fermentation process and move it to the refrigerator when you’re satisfied with the taste. This is a very popular variation on basic sauerkraut and it’s also often called Bavarian sauerkraut. Juniper berries are a spice more than a berry and may be available fresh when in season or dried at your local health food store. Combine the shredded cabbage, chopped apples and spices together. Place the shredded cabbage and apple mixture little by little in your fermentation jar, pounding them vigorously and sprinkling some of the sea salt as you go. Press the mixture and keep it under the brine by placing a plate or a lid on top weighted down by a rock or a jug of water. Cover with a clean towel if needed to keep out fruit flies. Check on it from time to time to be sure that the brine covers the mixture and to remove any mold that may form on the surface. This traditional salsa is lacto-fermented, so it stays good for a very long time and brings a great fuzzy and pungent taste. Wear gloves to handle the chilies and combine the chopped tomatoes, chilies, oregano, cumin, garlic and onions together. Place the tomato mixture little by little in your fermentation jar, pounding it vigorously and sprinkling some of the sea salt as you go. Make sure the mixture fills the jar up to no more than 1 inch below the top (because of the expansion), adding more if needed, and that the extracted water covers the vegetables entirely. 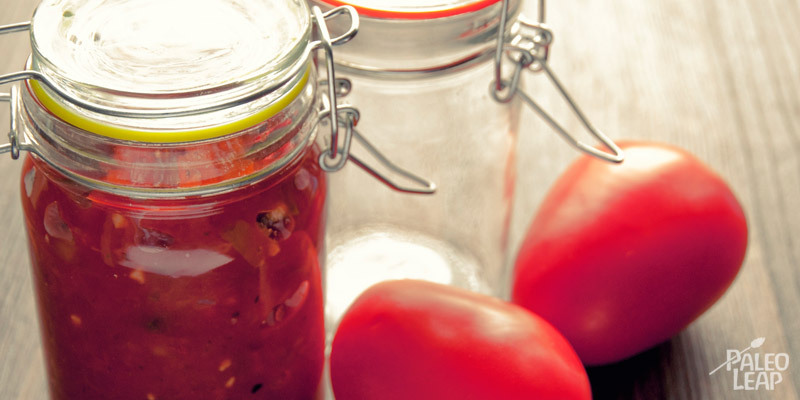 Place the fermentation jar in a warm spot in your kitchen and allow the salsa to ferment for 3 to 5 days. 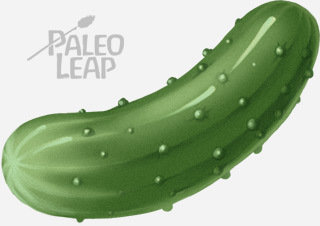 These are a favorite of many and a lot of people miss them when going on a Paleo diet, but the naturally lacto-fermented kind is perfectly healthy, crunchy and sour. This version is flavored with garlic and dill. Your garlic, too, will lacto-ferment and can be enjoyed afterwards as it will be packed with flavor. Soak the cucumbers in cold water for a few hours then scrub them thoroughly to prevent any mold from forming during the fermentation process. Place the cucumbers, dill, garlic and spices in your fermentation jar and sprinkle a bit of sea salt as you go along. Prepare a brine of 5 tablespoons sea salt to 8 cups water, making sure to stir well to dissolve the salt, and fill the fermentation jar with the brine so it covers the cucumbers. Cover the jar, place it in a warm spot in your kitchen and allow the cucumbers to ferment for 5 to 10 days. A good way to know when it’s ready is to taste it during the fermentation process. It’s ready when you’re satisfied with the taste. 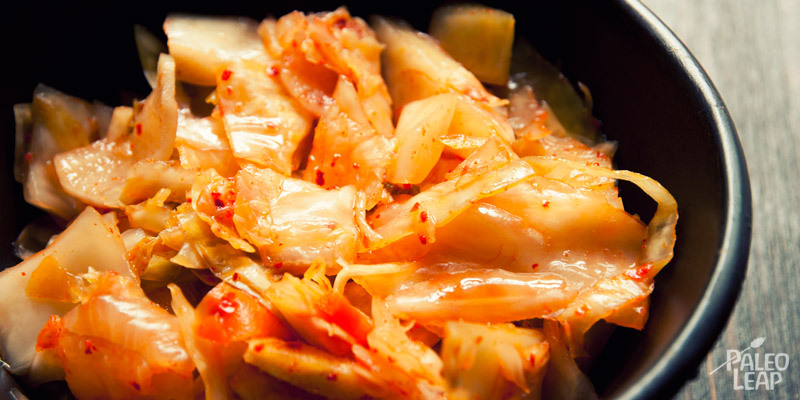 Kimchi is a very spicy and pungent Korean fermented combination of Napa cabbage and radishes. Other vegetables, like cucumbers, are often used. 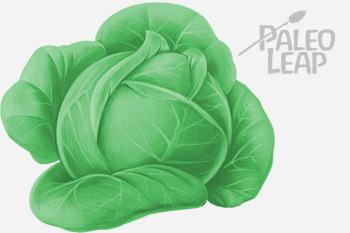 Wash the cabbage leaves and let them soak overnight in a brine of 1 cup sea salt and 1 gallon water. Once soaked, discard the soaking liquid and combine the cabbage with the radishes, carrots, scallions, ginger, garlic, fish sauce and chili paste. Add the remaining 1/4 cup sea salt to the mixture and combine well. Place the mixture little by little in your fermentation jar, pounding it vigorously to release the juices. Make sure that the extracted water covers it entirely. If not, create a brine of 2 tablespoons sea salt to 4 cups water and add it to the mixture. Place the fermentation jar in a warm spot in your kitchen and allow the kimchi to ferment for 5 to 7 days. 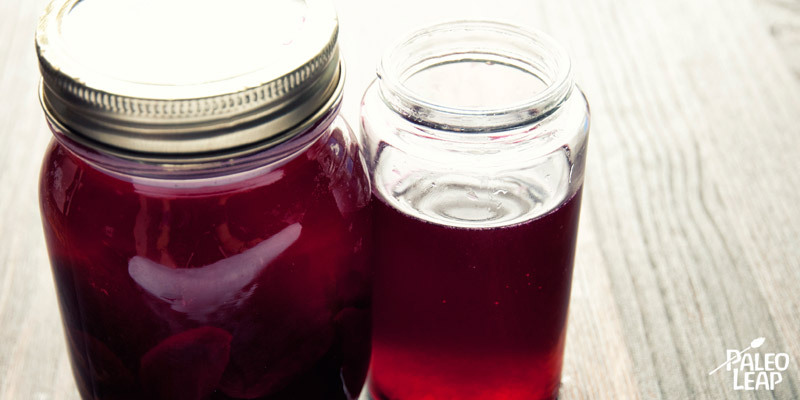 Beet Kvass is a lacto-fermented beet juice loaded with nutrients and is very useful as a digestive tonic. The beets used in this recipe can of course be enjoyed as well, but the resulting liquid is the main attraction here and can be used instead of vinegar in salad dressings. Combine the sea salt and the chopped beets and place the mixture in your fermentation jar. Add enough water to fill the jar, stir to dissolve the salt, cover and let ferment in a warm spot of your kitchen for about 2 days before removing it to the refrigerator. Place the julienned parsnips little by little in your fermentation jar, pounding them vigorously and sprinkling some of the sea salt as you go. Make sure the mixture fills the jar up to no more than 1 inch below the top (because of the expansion), adding more if needed, and that the extracted water covers the vegetables entirely. If not, create a brine of 2 tablespoons sea salt to 4 cups water and add it to the mix. 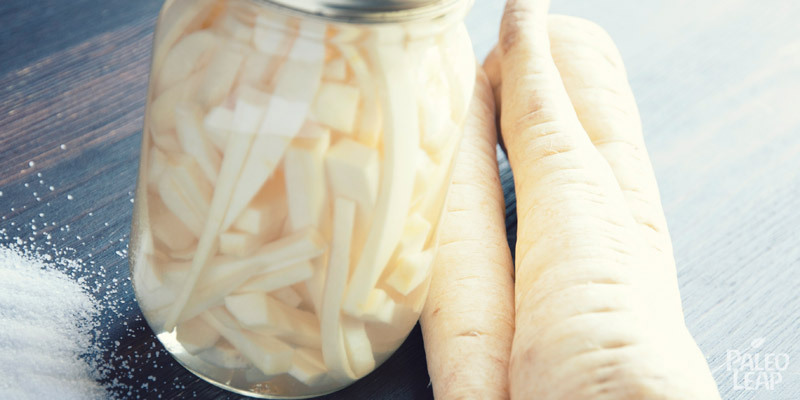 Place the fermentation jar in a warm spot in your kitchen and allow the parsnips to ferment for 7 to 10 days. 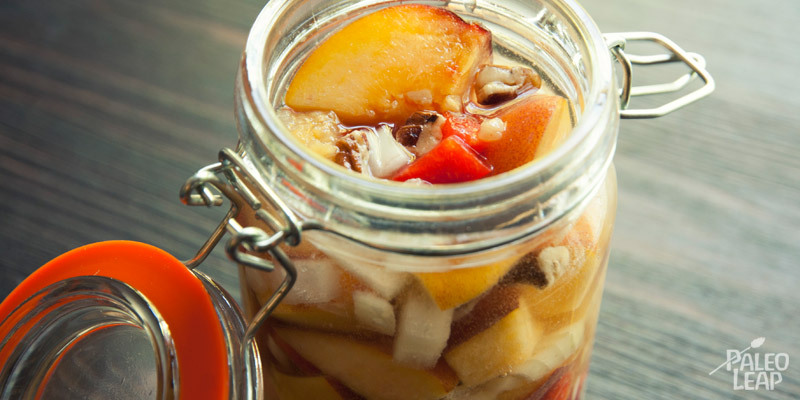 When we think of lacto-fermentation, we often think of vegetables being fermented, but fruits are also a great choice and some very interesting combinations can be prepared this way. Here we use peaches, but feel free to use any of your favorite fruits or those that are in season. Pears, plums and apples are great choices too. Combine the chopped pears with the raisins, pecans, sea salt, lemon juice, onions, ginger and hot peppers. Make sure the mixture fills the jar up to no more than 1 inch below the top (because of the expansion) and that the extracted water covers the mixture. If not, create a brine of 2 tablespoons sea salt to 4 cups water and add it to the mixture. Place the fermentation jar in a warm spot in your kitchen and allow the chutney to ferment for 2 to 4 days. 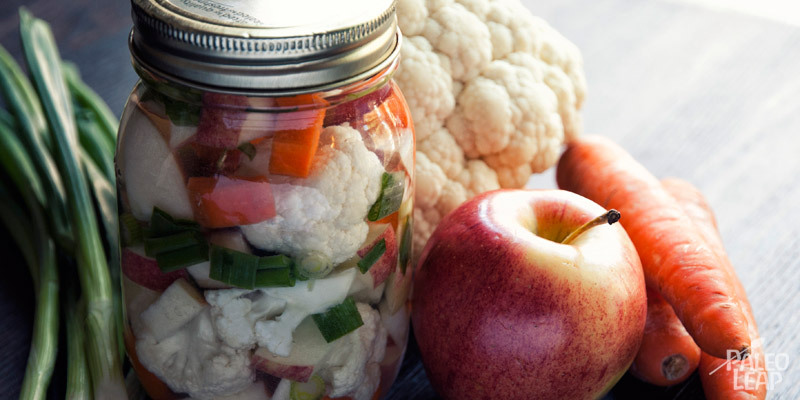 Vegetable combinations are a great idea when lacto-fermenting and this summer vegetable medley of cucumbers, carrots, apples and cauliflower is a great example. Combine the apples, cauliflower, carrots, onions, and ginger together. Place the mixture little by little in your fermentation jar, pounding them vigorously and sprinkling some of the sea salt as you go. Make sure the mixture fills the jar up to no more than 1 inch below the top (because of the expansion), adding more if needed, and that the extracted water covers the vegetables entirely. If not, create a brine of 2 tablespoons sea salt to 4 cups water and add it to the mixture. Place the fermentation jar in a warm spot in your kitchen and allow the mixture to ferment for 3 to 5 days.